Apple is set to introduce two new features in the second generation of watchOS— internet connectivity independent of the iPhone and push-capable complications— that promise to make the company's first wearable an even better companion. The Apple Watch is a study in contrasts. On one hand, Watch wearers can almost forget that they own an iPhone, especially when roaming around their house and taking calls or sending messages from their wrist. On the other hand, you can't do that without an iPhone. 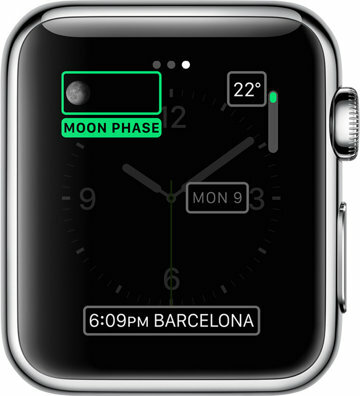 Apple is beginning to cut the umbilical with watchOS 2. This fall, the Watch will gain an expanded ability to connect to known Wi-Fi networks independently; that means you'll be able to go for a run without your phone, but still check the weather when you're near a hotspot. That's not just a boon for Apple's apps, either. 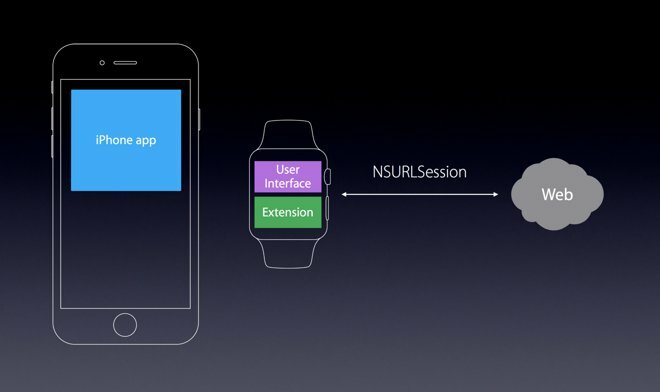 Third-party developers —who will finally be able to write apps to run natively on the watch —can also take advantage of that connectivity to refresh their own app data, uploading running stats in real time or alerting you to a fast-approaching storm. Third-party complications represent another opportunity for the Watch to ingrain itself even further into wearers' lives. Complications are designed to provide the fastest possible interaction with the Watch; in some cases, this means sub-one-second glances. In most cases, developers will pull data for their complications, refreshing an API endpoint every 5 or 15 minutes to get the latest updates. Apple wants this data in the form of a timeline, so the Watch can do the work of making sure that the data in each complication is up-to-date even before the display turns on. There's another option, however: realtime push notifications. While this does require a connected iPhone— at least for now —the ability to receive push notifications in a complication opens up an array of new possibilities. Apple's canonical example for push complications is sports scores, but we can imagine a variety of situations where this could be valuable. A complication that displays realtime environmental data, like air quality, for those who live in large cities; one that makes clever use of geofences to let you ensure your child is at school; even a mundane intra-office complication that lets you know whether the conference room is free has the potential to save time and energy. Together, these updates have the potential to transform the Watch from a convenience to a lifeline. What started life as a fun gadget is quickly becoming an indispensable tool.